Working as a methadone program counselor is both a fulfilling and challenging professional job position. Personal fulfillment comes from forming a therapeutic relationship with people in recovery and enjoying the opportunity to see them move upward and onward in rebuilding a quality life. Fulfillment also comes from one’s role within an organization or agency and being able to contribute meaningfully to that methadone program’s expansion and continual improvement. The challenging aspects of working as a methadone counselor stem from several areas. The first is caseload size. Most methadone programs require that counselors serve sizable caseloads which results in counselors striving to meet the many varied needs of patients while having numerous other demands made on their time. Closely related to serving patients is the extensive documentation requirements that must be met when a counselor provides any type of direct counseling service or case management assistance to an active patient. In today’s healthcare environment, documenting one’s professional activities is an extensive drain on time, energy, and productivity. This is particularly true with state and federally supported programs that draw on public funding to run the methadone program. Good computer skills are generally a must have. Effective methadone counselors become time management experts and develop a high level ability to work quickly under pressure, to shift priorities, and to multitask while maintaining an appropriate focus on their professional development. Quality methadone counselors also bring to their work a dedication to patient welfare and a spirit of enthusiasm, hope, and positivity to co-workers and the patients that are relying upon them for guidance and support. 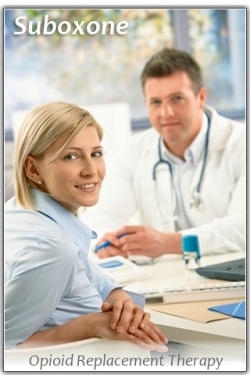 Methadone.US provides an extensive employment section that lists numerous methadone treatment jobs across the country. Those interested in working in the opioid treatment field can browse our job section for recent methadone program openings. This includes nursing positions, physician positions, counselor openings as well as support positions like receptionist and billing or finance specialist. Working as a methadone counselor offers many rewards. Appropriate supervision and professional development are very important when undertaking any counseling position. Knowledge, skill, and experience must be actively developed, and are ideally supported by any reputable methadone treatment employer. Greetings and happy 2013 to our site’s visitors, U.S. methadone clinics, suboxone physicians, and addiction treatment providers across the country! 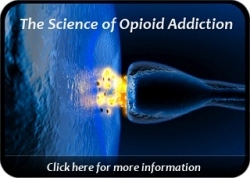 Methadone.US was successfully launched in 2011 and quickly developed surprising traffic to our website as many hundreds of individuals searched online daily for local opioid treatment services and discovered Methadone.US. Our goal was to humanize opioid addiction treatment and to help educate the public on the value of methadone and suboxone, and to further legitimize opioid replacement therapy. This goal is being achieved every day as evidenced by our hundreds of thousands of visitors, numerous emailed comments & stories, and people taking our online opioid addiction assessment. Methadone.US features individual pages for cities across the United States, and we are now providing a showcase featured spot at the top of every city page for local methadone clinics & suboxone doctors to list their services. If you are a treatment professional looking to reach and serve clients, then feel free to join Methadone.US and have your clinic or practice clearly profiled at the top of your city page. As an example, you can view two of our new additions here: Matrix Center in Wichita, KS and American Treatment Center in Newport News, VA.
Opioid addiction treatment is going mainstream. This is a good thing because it simply helps those suffering with addiction find the help that they need, and to begin the process of recapturing their quality of life. As Methadone.US enters its third year, we would like to thank all those who believe that addiction recovery is possible, and that methadone & suboxone are beneficial tools in that process. Many people in our society, from all walks of life, are struggling today with a debilitating opioid addiction. They deserve help. They are ready for change and they need only to connect locally with good treatment services. Fortunately, the internet is making that connection more possible with every passing day. Thank you for visiting, and for supporting, Methadone.US in reaching that worthwhile goal. The results of a NIDA-funded study prepared by RTI International in Research Triangle Park, NC were just released. The study sought to determine the approximate annual cost, per client, of providing a quality methadone treatment program. The study was completed in close association with Alcohol and Drug Services who operated three methadone clinics in Greensboro, High Point, and Burlington, North Carolina. Estimating the costs to operate an opioid treatment program is a difficult undertaking with many variables which must be accurately factored into a comprehensive analysis. Some of the variables include: numerous monthly facility-related fees (lease, utilities, cleaning & maintenance), staff salaries, medication, medical equipment, urinalysis testing & lab fees, office equipment (phones, computers, copiers), educational materials and media devices, marketing & promotion, administrative & accounting costs, accreditation fees, medical records, and many other miscellaneous costs. The client census for any opioid treatment program also factors heavily into the clinic’s financial viability as well as does the clinic’s policy on charging for take home medication and other ancillary services. The RTI study results were based on a clinic census of 170 clients. The largest single cost was labor since all methadone programs require a number of professionals working together as a team in order to deliver quality services. Labor constituted 86.5% of the costs to operate a methadone clinic. Based on an average daily census of 170 clients, the study defined the annual per client cost to be $7,458. Divided by 365 days per year, this equates to $20.43 per day, per client, to run a quality methadone treatment program. “Quality” mean that clients are receiving regular individual and group counseling services in addition to case management and referral, and some supplemental medical monitoring, referral, and oversight. Many methadone programs charge their clients far less than $20.43 per day thus promoting the question as to how a clinic can survive financially on an average $13.00 per day client fee. Delivering services at break even or for-a-profit will require that the clinic either cut costs by operating with minimal underpaid staff, offering minimal counseling services, receiving some supplemental State or Federal funding to offset their costs, collecting additional client fees from those whose treatment is partially funded through State/Federal monies, raising their client census to make up losses by serving a larger volume of methadone clients, or acquiring additional funding through grants, donations, or special community funding such as United Way contributions. Some of these approaches are more problematic than others. “Quality treatment” is always a direct function of having knowledgeable, well-trained staff who are motivated to work with clients and to advocate for their needs and personal growth. Ultimately, methadone clinics provide life saving treatment and a valuable opportunity for people to reclaim and restart their lives. However, establishing & running a quality methadone program is not cheap. For the addicted individual, opioid treatment is a much more affordable option than buying illicit drugs off the street and living an exhausting, high risk, unhappy existence. Fortunately, many methadone programs are partially paid for through Medicaid, private insurance, or State dollars earmarked for substance abuse treatment. Even these publicly funded programs struggle … especially when Federal and State budgets are cut year over year. Methadone.US aims to serve a number of different purposes, including: educating the public on medication-assisted treatment, helping people to find methadone clinics & buprenorphine providers, and encouraging opioid dependent persons to commit to the recovery process as soon as possible. You may have noticed that in addition to the above, Methadone.US has incorporated an employment section to aid professionals in locating job positions in the opioid treatment field. 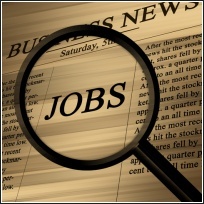 The job postings are updated daily, and highlight employment opportunities across the entire United States. Our site is growing. Presently, contact information for methadone clinics and buprenorphine providers is being added daily to the Methadone.US database. More specialty sections and physician article feeds are soon to come such that site visitors can find new information & perspectives with each visit to the site. It is estimated that over 2 million people in America are struggling with an opiate abuse or dependency issue. This number does not include their family members, their employers, the legal system, and beyond. All totaled, the presence & impact of opioid addiction on society is quite large. Hopefully, Methadone.US will help to make a difference … one person at a time. Thanks for visiting the site today. Your feedback is always welcomed on how we may improve.